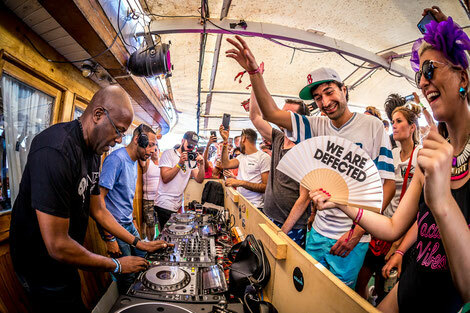 Defected Croatia recently revealed its biggest live streaming proposition, which kicked off yesterday with Todd Terry on a boat! For those not making it to The Garden in Tisno between 9-14 August you can tune into live streams in full HD across all six days of the festival, via Defected’s Facebook and YouTube channels. Some of the artists to be streamed live from the shores of the Adriatic include DJ Spen & Karizma, Claptone, festival debuts from DJ Gregory and Masters At Work, headliners Basement Jaxx, Sam Divine and Hatcha. The live streams will feature all the main festival areas – Main Stage, Olive Grove, Beach Stage and boat parties. To watch, follow Defected Records on Facebook and ensure notifications are turned on to be alerted of activities throughout the week. Or subscribe to the Defected Records YouTube channel to get notifications and tune in as it happens.